It’s officially October—my favorite month for designs! I’ve been looking forward to fall/Halloween designs since about January, and now it’s finally here. 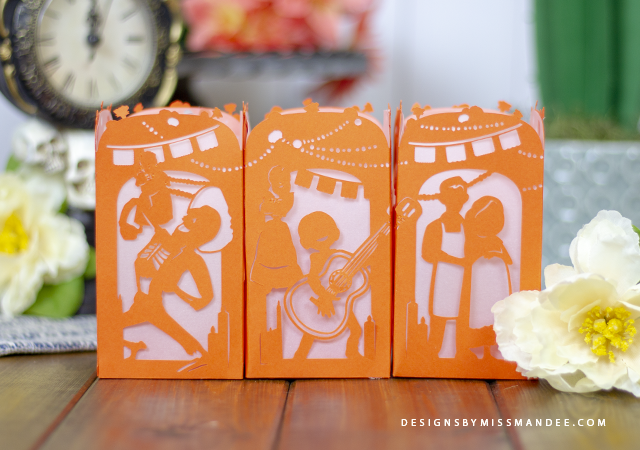 And what better way to kick things off than with a new installment in my Disney Paper Lanterns series? 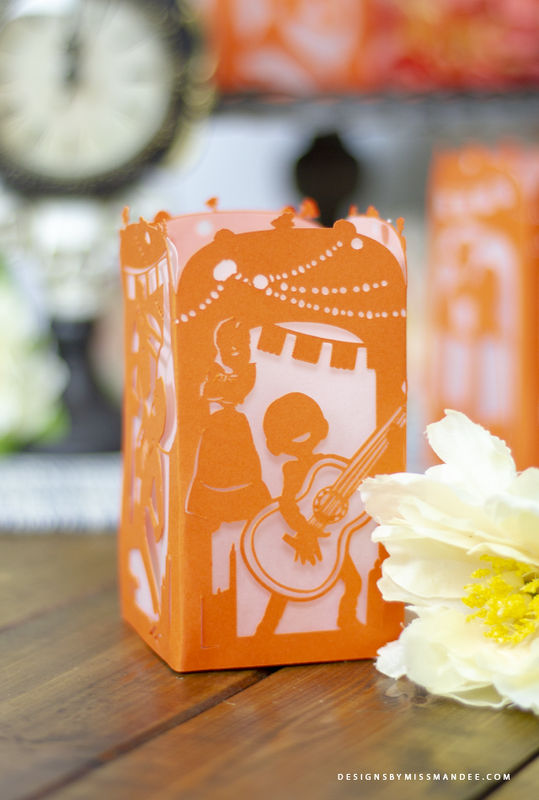 Get ready to celebrate Dia de los Muertos with this fun Coco paper lantern! I recently watched Coco for the first time, and I loved it! The animation was captivating, the story was so heartwarming, and there were some great little laugh out loud moments to boot. I remember having Day of the Dead celebrations at school and attending community celebrations. Although I don’t have latin heritage, I grew up in an area with a vibrant hispanic presence, and I know Coco really struck a cord with some of my friends. Not gonna lie, designing the skeletons was definitely my favorite part of this one! I just think seeing their rib cages stand out against their silhouettes is so fun. I really like the decorations going across the top of the design as well, though! 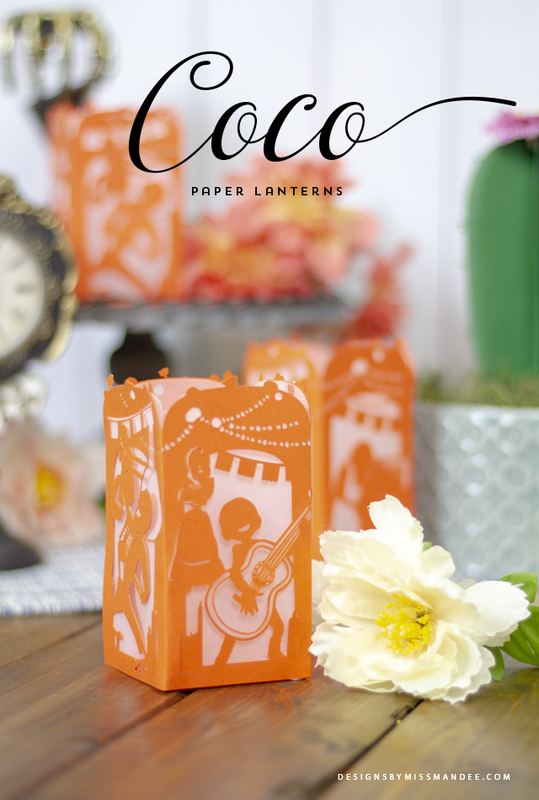 Enjoy putting my Coco paper lantern together! 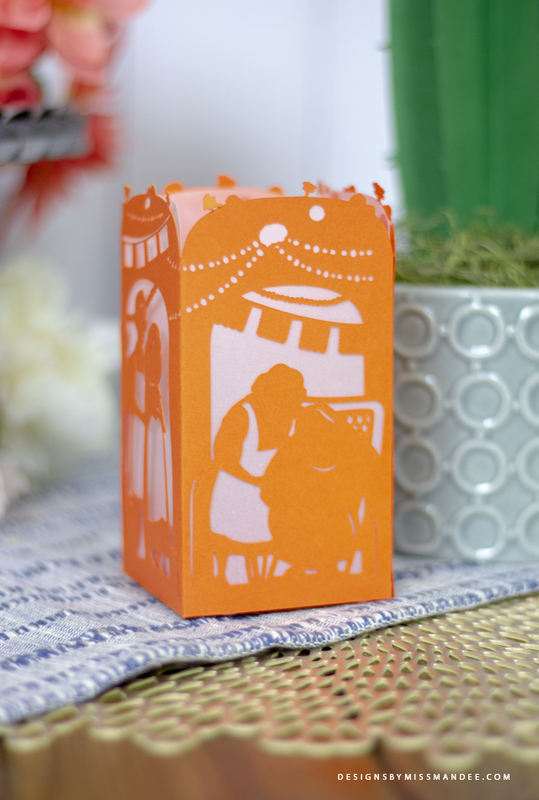 What plans do you have for this lantern? 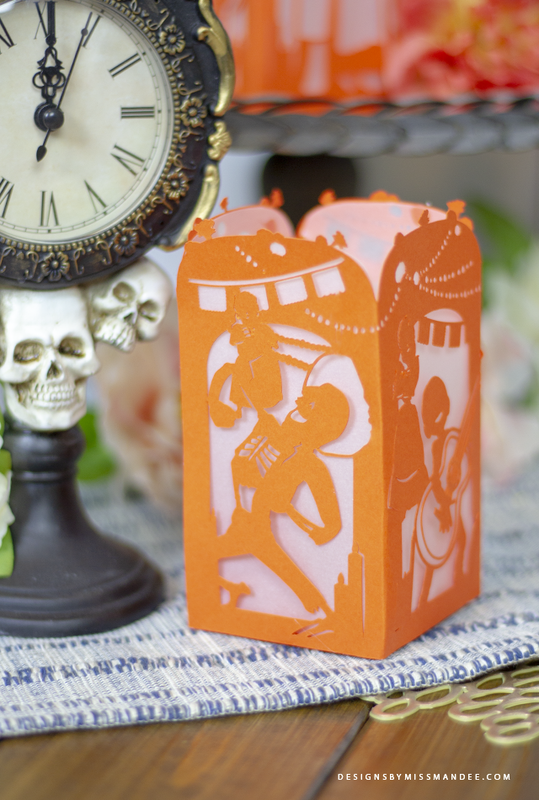 Do you celebrate Dia de los Muertos, or are you just a fan of the movie? Thank you – this is perfect timing! Love this movie n glad to see a cut file out there that can be used for the occasion. You’re welcome Patti! Glad my design can be of use to you. Yes, the movie is fantastic! Thanks, Mandee. As always, well done! love the lantern! next week we have a halloween party for the kids in Coco style. this would make a great thank-you-for-inviting-us present. thank you! Ooo, how perfect! Have fun with the party!! Thank you Mandee. My daughters birthday is coming up and it’s Coco themed. So hard to find anything Coco right now. These lanterns will be great. Question. Do you have any side face silhouettes of any Coco characters? Thanks again! You’re welcome Georgia! Glad my lanterns can be a part of your daughter’s birthday!! I don’t have any side profiles of Coco characters at the moment. OMG!! son perfectos! tengo el altar de muertos en el kinder de mi hija y será para Walt Disney. Mas que perfectos!! Muchas gracias! Omg thank you so much for your Idea. My daughter I supper excited about this for her birthday party. Your a life saver can’t really find to much for Coco. Appreciate it amor.